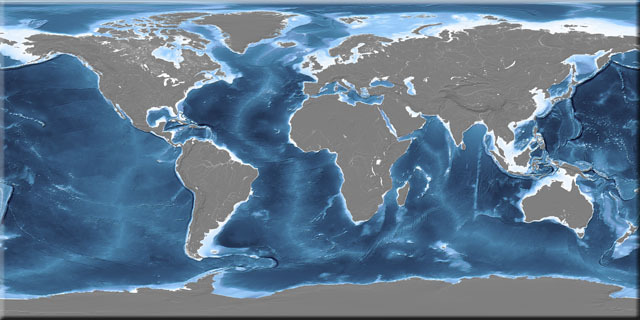 This texture map shows ocean depth in continuous-tone colour and hill-shaded, with monochrome hill-shading on the land. The emphasis is on the ridges, shelves, seamounts and trenches of the ocean floor, although lakes and major rivers are also portrayed. This map was prepared from a unique combination of traditional hydrographic survey data and the latest satellite-derived bathymetry.